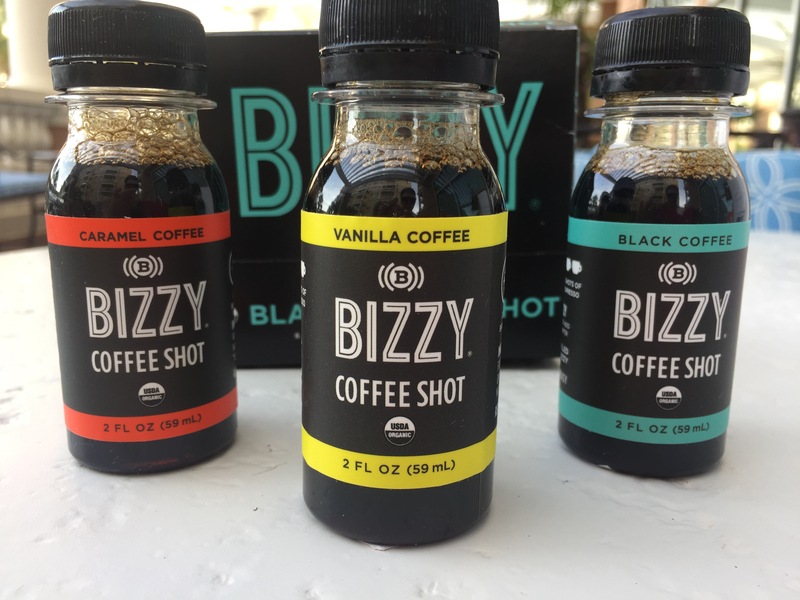 I LOVE trying new coffee / espresso and Bizzy is my latest find. Little shots (3) of cold brewed espresso with no calories or sugar and 130-150 mg of caffeine. They’re mini and perfect for throwing in your purse in the morning. I can’t tell you how many times I brew coffee in the morning and forget to take the cup out of my car, only drink half and than it’s cold or just forget (or have no time) to make coffee altogether. They’re also TSA approved (this was the first time I’ve gotten on a plane and have been able to keep my coffee with me…yay!) I love the convenience factor. I tried the sampler in vanilla, caramel and black. Each variety has a bold coffee flavor (love!). I can’t stand when prepared coffees are loaded with sugar and artificial flavoring, I really want to taste the flavor of the coffee beans. Bizzy is organic and ethically sourced with absolutely no preservatives. A 12 pack is just $24 on Amazon. My favorite is the vanilla, in fact I could use another one right now. I had one this morning right before hitting the gym, sometimes I really need a push in the AM and ASAP. I’ve accepted the fact that I’ll never be a morning person without caffeine. These might become a staple item in my purse from now on.